I took part in the Phoenix End of Year Marathon yesterday. This was largely a repeat of the November event and took place in Walton on Thames and involved 4 out and back legs along the Thames Path. Paul Stout and Jim Seaton took part and I also met up with Keith Godden at the event. It was nice to see a few familiar faces at the event taking parting or marshalling. It was a little cold to start with but as soon as I got a few miles underway the weather was glorious, crisp and cool with a magnificent clear blue sky. All in all great running weather and much better conditions than the heavy rain of a few weeks ago. I ran with and chatted with Jez Isaac, Jim and Stouty for most of the race but it was good to keep seeing and passing the other runners on the course. The 4 x out and back format is one I quite like as it breaks the race up unto nice manageable segments. 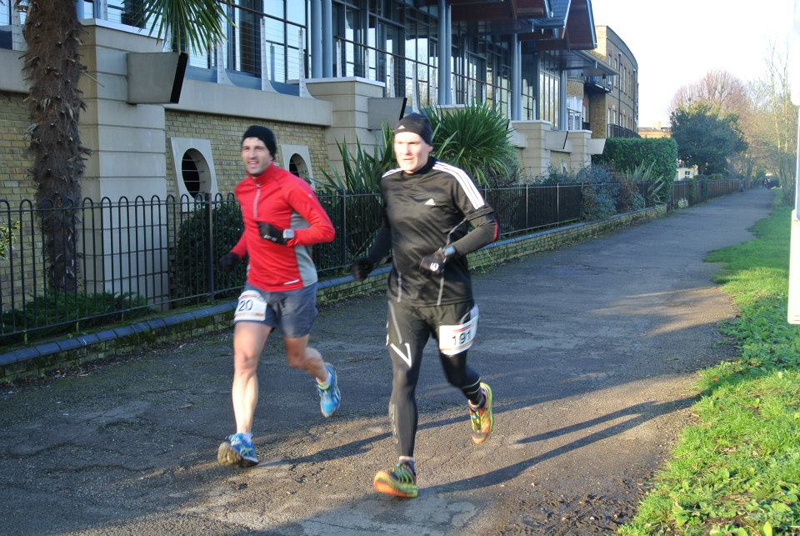 We ran a 7.30 – 7.45 pace which was pretty much constant for the entire race. I did have to make a pit stop three times but the positioning of the turn point near some public toilets was very fortuitous. It did mean I had to catch Stouty up three times but I felt pretty comfortable during most of the race and it was only the last mile or two where I just had to get my head down and stride the last section home. I finished in 3.22 something 9th position out of 70 runners. Stout was less than a minute behind and just missed his PB by 9 seconds (gutted for him, but he will definitely beat that time next year) and Jim was a few minutes behind both us pretty pleased with a sub 3.30 and Keith finished under 4 hours. I think we were all fairly pleased with the times especially after our various Xmas excesses! It was then into the pub next to the start for a well deserved Sunday dinner which went down very well. 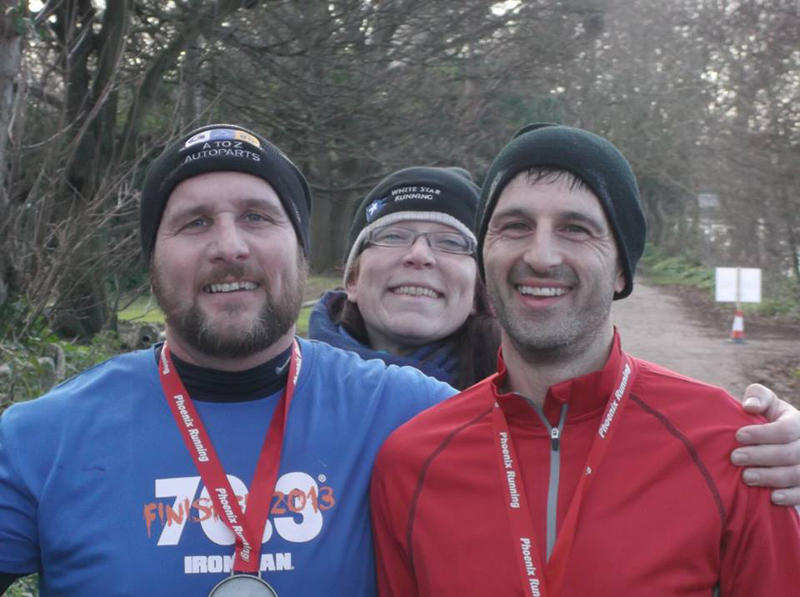 Thanks to Rik, Foxy, Karen and the other helpers and well done to the runners who took part. I do quite enjoy taking part in these low key, friendly marathon events.